Read a web-only summary: The Hidden Dynamics of the Great American Scientific Enterprise. Each year, Congress appropriates billions of dollars for scientific research. In this book, veteran science reporter Daniel S. Greenberg takes us behind closed doors to show us who gets it, and why. What he reveals is startling: an overlooked world of false claims, pork, and cronyism, where science, money, and politics all manipulate one another. 24. What Future for the National Science Foundation? "Which science book should the next US president read? 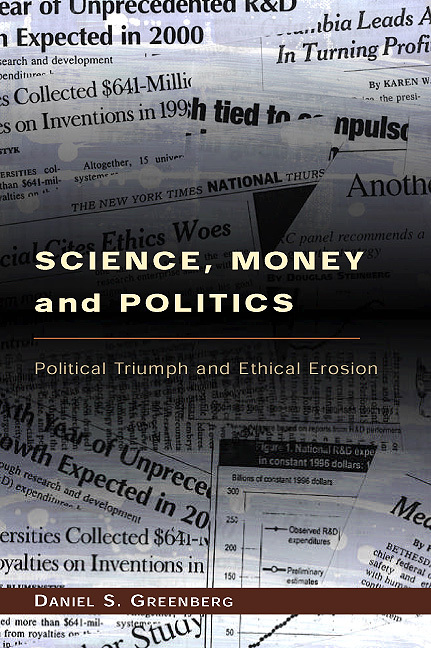 . . . . Daniel S. Greenberg is the outstanding writer on the politics of modern US science, and this is his most pertinent book."